For both homeowners and commerical sites. 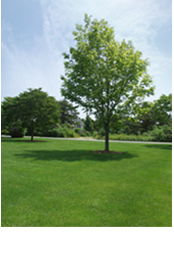 We have the ability to save your shrubs and trees in the residential setting. Consider saving before paying to cut down and remove. Maybe your trees and shrubs can be transplanted on site or donated to the planted at other jobs, like other homes that need them. Consider your finnished product with large trees, native to your location. Save on removal costs and present a finished product that looks like its been there forever. The main methods we use for transplanting smaller caliper trees is the mechanical Tree Spade. 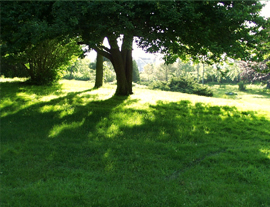 We have multiple sizes of machines which fit a variety of different tree sizes. Our smallest is a 26" Optimal unit that handles up to a 3" caliper tree. (about 3" in diameter) The 45" Optimal handles up to a 5" caliper. Both of these tree spades are mounted on small Skid Steer Loader that allows us access to even the tightest of situations. For trees slightly larger we have a 55" and 67" Optimal machine mounted on a Loader. These machines will move a tree up to 6" and 7" respectivly. Lastly for the large trees we have a Vemeer 94" machine mounted on a 10 wheeler. This will move up to a 12" tree safely. The design of these tree spades allows us to move trees safely and with almost 100% survival rates. It allows us to provide shade, screen, and astedic full size plants where there was none before. Remember that these are full size trees, you do not have to wait years for them to mature but instead can enjoy them the way you want them today.